Nowadays, people communicate every day using different tools for this purpose, the most popular tool being Instant Messaging Client. It is much more convenient than correspondence via e-mail: it allows two and more people exchange instant massages very fast, make voice and video calls, share files. I suggest we take a look at five most popular IM Clients from our web site and try to figure out what purpose each of them serves best. Skype is an IM client well known throughout the world. 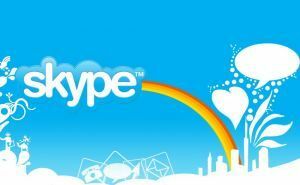 Skype is used by more than 40 million people - the number of users speaks for itself. 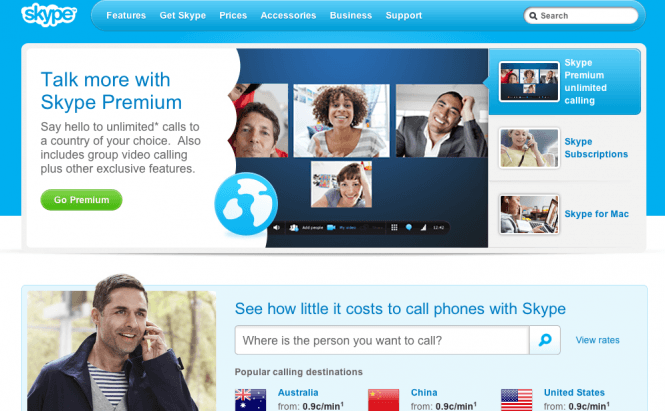 Despite the fact that Skype is an IM client, it became popular due to voice and video calls support. You are able to make phone calls to mobile and landline phones and send text messages to mobile phones. Prices are really low, I would even say fair. You can choose among several flexible and effective system plans according to your needs to call to other countries or only domestically. The interface is quite simple even for beginners in Internet communication. The main window of the client consists of two tabs. The first one is for your contact list and the second tab is for the recent conversations. That comes in very handy if you have many people to chat with: it helps you to switch between message windows. There is an option to snap the main window to the message window, depending on what you prefer. Skype uses a special technology for video and phone calls: it allows processing data before sending it. Compression of data reduces the amount of used traffic and consequently increases the speed of data transmission. You can have the same Skype account logged in on several computers at the same time. The history will not get lost and will appear on every computer running Skype. Chat and group video conferencing is also available in Skype. Emoticons and online games are available too, and, despite being rather limited, are funny and entertaining. There are no advertisements of unrelated products. A small banner at the bottom of the page only has Skype commercials in it. Conclusion: Skype is an excellent choice for people who want a good-quality IM client without an overloaded interface and confusing features. Yahoo! Messenger was developed by one of the largest Internet companies. Registration on the Yahoo.com portal is required for using this program. It is thus especially convenient for those who have already registered there. The program has a lot of useful features, such as instant messaging, playing online with a game partner, creating chat rooms, making voice and video calls, being engaged in online conferences and file sharing. You can also make phone calls to mobile and landline phones for a reasonable price. Yahoo! Messenger has a built-in search, which assists you in quickly finding the information you need on the Internet. Yahoo! Messenger also offers integration with Twitter and Facebook. It keeps you informed on what is going on in social networks even if your browser is closed. 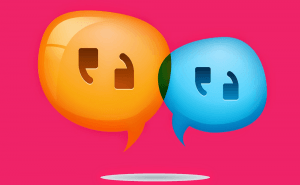 If you are a fan of chatting, Audibles will undoubtedly attract your attention. An audible is something you can send to your chat pal. These are small animated clips that will surely spice up your correspondence. Yahoo! Messenger has different kinds of audibles. There is no problem finding one that fits your conversation. In addition, you can customize the background settings of your chat window for each contact by using the IMVironments elements. Personally, I find that the design, appearance and positioning of all elements in the message windows is very nice and intuitive. All advertising is limited to a small banner at the bottom of the main window, which only shows Yahoo services advertisements. The communication quality is almost perfect. Sometimes, during video calls the image flickers and the sound is not quite clear, but you still can understand and see your chat pal. It can happen even with fast Internet connections. Conclusion: this IM client is a complex suite with different features and tweaks. It gives you opportunity to use multiple functions for a variety of services. It is up to you to choose what you need or want. Google Talk is a small IM client. 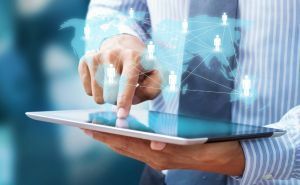 It has all the basic features, such as instant messaging, voice and video calls, and profile personalization via avatars and status messages. Google Talk is tightly integrated with the Google mail service. In order to log in, you need to use the email address and password from your Gmail account. Chatting in Gmail actually has the same features and uses the same contact list as Google Talk. If you have unread messages in your inbox, you will receive a pop-up notification about new e-mails. The typical Gmail “M” letter will also be displayed as Google Talk’s system tray icon. A brief history of your conversations is seen in the chat window and marked in gray. The full history can be found in the Gmail service. The program allows you to change your status depending on whether you are available or not; green - clear, red - busy, orange - away. Unfortunately, Google Talk doesn’t allow you to "escape" in the invisible mode. It also provides a small set of non-animated smileys. Google Talk itself doesn’t offer video or voice calls, but you can download an add-on for your web browser and enjoy video and voice calls through the Chat in your Gmail Account. Voice and video calls quality is as good as your online channel allows it to be. The program doesn’t have any advertisements at all, and its interface only has basic features. It is extremely light and easy to use. Conclusion: Google Talk is very simple and a good choice for practical people who don’t need additional features and unnecessary visual effects. ICQ is an IM client, which has proven itself a serious competitor on the market. The new version 7.2 brings both advantages and disadvantages. ICQ allows users to exchange instant messages, and for this purpose it provides a set of various supporting tools. It has a large number of colorful animated smileys and clips – those will certainly help you express your emotions better. Admittedly, not everyone will like such graphical abundance. The quality of voice and video chats is acceptable. Once in a while, the connection becomes worse and the video image can disappear. ICQ offers integration with a variety of social services, such as Facebook, YouTube, Twitter, Flickr, etc. If you are an active social network user, this feature is for you. ICQ also allows you to monitor Google and Yahoo! Mailboxes. However, ICQ has a significant drawback. The user interface is overloaded with third-party banners and flashy graphics. Those can really distract your attention, not to mention that they consume your traffic. Conclusion: ICQ is a time-tested IM client which has become very popular. Millions of people use it all over the world. Windows Live Messenger is an IM client from Microsoft. The first version was released in 2005. For 5 years, it has gone a long way and gained a lot of new features. Windows Live Messenger allows you to exchange instant messages, make voice and video calls, and transfer files. All the basic features are there. The significant advantage of Windows Live Messenger is the possibility to save voice messages during a call. It has a very pleasing interface with plenty of themes for the main window. The message window can be easily set up to suit your preferences and tastes. The avatar panel smoothly disappears when you click on it, and returns the same way. You are also able to hide the top menu and change the size of the text input field. Overall, the design is done in a very pleasing way. Messenger has a large collection of animated smileys, emoticons and winks. Winks are animated colorful graphics that can be very funny and entertaining, and come with amusing sounds. You can send a “nudge” to your chat pal and both your windows will shake a little. It is a cool feature. What is more important, none of the graphical elements annoy you with excessive colors, shapes, or sizes. There is just enough of everything. Voice and video calls are of decent quality. Sometimes, the sound and picture can disappear, but it doesn’t spoil the impression about the program. Conclusion: in general, it has a very pleasant interface, with no advertisements and not overloaded with features. It is made only and specially for communication and chatting. As you can see, each client has its own positive and negative points. Your final choice will depend on what features you expect to find in your IM Client and how many of your friends use it. I wish you good luck in trying and choosing your own way of communication. ArticleWhat Day is It, Anyway? ArticleWhat Kind of a Person Are You? ArticleFeeling at Home? Do it Yourself! IM Client is a NECESITY. I can not imagine turning on my PC and not having my IM Client running. Use MSN, all my friends do. I agree the design is nicely done. Crucial point is that it is low on system requirements. Thanks for the article, it is very useful. I personally prefer Skype for video calls, but don’t mind trying something new. Google Talk sounds like a good choice also.